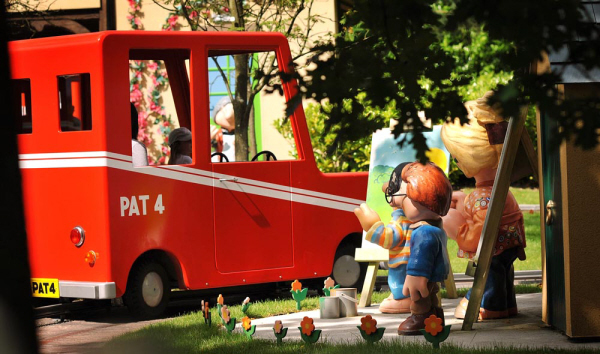 Most theme park guests now need to pay for parking when driving to Alton Towers. Whilst we like to find the best Alton Towers Ticket Deals & Vouchers it’s always worth looking for ways to keep your costs down once at the park. Follow our guide below that includes current parking charges, information on how to purchase your car parking tickets plus a few methods to bypass these charges altogether! 1. To Purchase Car Parking Tickets Online; simply purchase your car parking ticket in conjunction with your theme park ticket online over at ALTON TOWERS & PARKING TICKETS (select the standard/express parking box as you make your way through the booking). 1. Book Online; whilst purchasing Alton Towers Tickets you can simply add your parking ticket to your transaction, (simply select the standard/express parking box as you make your way through the booking). 2. Ticket Booths; car parking tickets are available from the ticket booths on the day of your visit. This method works well for those using 2 for 1 vouchers & other promotional offers. You can also make use of any sales & information booth too. 3. Machines; you will find car parking ticket machines by the entrance/exit to Alton Towers, (just past the turnstiles). As you arrive at the park, it can be worth making a purchase then so as to avoid the queues that can inevitably build later on in the day. Follow our Guide to Alton Towers packed with top tips & money saving ideas to help you get the most from your visit. Extend your visit with an overnight stay at the Alton Tower Resort where all packages include a FREE parking perk plus Early Ride Time, (offers access to select rides & attractions before the park opens to the public) to help you get ahead of the queues. Look out for a choice of accommodation from the NEW CBeebies Land Hotel, Enchanted Village Lodges & Splash Landings Hotel where all breaks include a FREE second day at the park. More information available at Alton Towers Short Breaks. Premium Merlin Annual Pass Holders can take advantage of FREE parking at Alton Towers. Simply scan your Premium Pass at the car park exit to take advantage of this free parking perk, (unfortunately all other passholders must still pay the standard car parking charge per visit). There is a FREE drop off/collection point that allows you to avoid the car parking charges altogether if you can persuade someone to give you a lift. As drop off/collection is located close to the main Alton Towers entrance, this also offers you a swift entry into the park. More details available at Drop Off & Collection at Alton Towers. 1. Remember where you have parked – in the heat of the excitement it’s easy to forget to take note of where you have parked as you dash for the entrance. It all looks very different when the car park is full to brimming at the end of the day so look out for markers such as a ribbon on your aerial, to help you navigate your way back. 2. Pick up your car parking ticket from the machines at the beginning of the day, (close to the main exit/entrance), to bypass the queues at the end of the day. 3. For a quicker entry/exit to the park, worth considering Express Parking that offers a limited number of space close to the main entrance. More information is available at Alton Towers Express Parking. 4. Remember you’ll only need ONE Premium Passholder in your car to pick up FREE parking at Alton Towers. 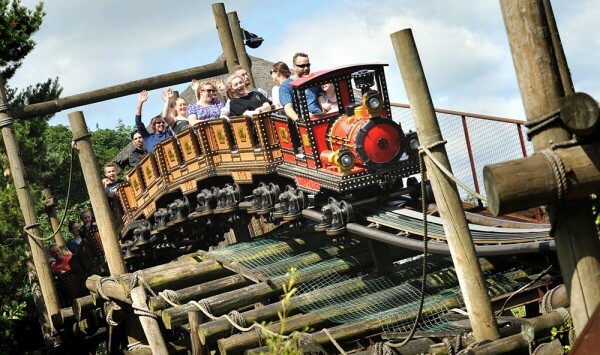 EXPLORE OUR Alton Towers Cheap Ticket Guide packed with 2 for 1 vouchers, online savings and even a FREE ticket promotion! This entry was posted on Friday, February 2nd, 2018 at 6:52 am	and is filed under Alton Towers. You can follow any responses to this entry through the RSS 2.0 feed. You can leave a response, or trackback from your own site. Incorrect, parking isn’t free for premium pass holders either! Hi, I have checked on the Merlin Annual Pass site and it states that ‘Free parking is available at THORPE PARK Resort, Chessington World of Adventures Resort, Alton Towers Resort, LEGOLAND Windsor Resort and Warwick Castle. On the day of you visit you will simply need to scan your Premium Merlin Annual Pass at the barrier at the time of exit.’ This free parking perk is only available to Premium Merlin Passholders. Standard passholders now have to pay the regular charges for parking. Premium passholders looking to use the Express Car Park at Alton Towers, (located closer to the theme park entrance & allows you to avoid the monorail), can secure discounted parking on the day of their visit if they prefer. We are staying at the Alton Towers Hotel for 3 nights. Is there a separate carpark for the hotel with signage directions or do we need to park in the standard carpark and walk from there to the hotel? I cant fine anything on the resort website. Does anyone know if we can park a 17 seat minibus in the normal parking area. Or if we would have to go to the coach parking? Hi Amanda, my understanding is that you would need to park in the coach/minibus parking area for Alton Towers parking. As you enter the park, look out for signage for the coach park where you will be directed by a member of Alton Towers staff. The good news is that coach/mini-bus parking is located close to the main Alton Towers entrance so no need for the mono-rail! can I express park in my transit van ? Hi Neil, I’ve double checked with Alton Towers and they have confirmed that a small works transit van will be fine for express parking at the park. Hi Mark, yes you can park in the Splash Landings hotel car park if you are making use of the Splash Landings waterpark. Upon departure, simply catch the staff on reception who will be able to let you know the arrangements in place for exiting the car park. paying to park??? why else would I be there!?. Already spending a fortune to be there, robbing sods. Hi Ian, there is a designated coach parking area at Alton Towers that bypasses the mono-rail and allows visitors direct access into the theme park. You would need to check with your coach provider whether any car parking charges incurred are additional to or included within your trip to Alton Towers. What’s the current parking charges for blue badge holders? Hi, Alton Towers has a number of parking spaces for guests with disabilities located close to the main entrance to the park, (follow signs for Express Parking). These spaces are designated for blue badge holders and are charged at the standard parking rate, (currently £6 a vehicle). is there a height restriction barrier for the car park ? Hi Nicola, I am not aware of any height restrictions at Alton Towers and I’m sure staff will be happy to direct you to the appropriate parking on the day of your visit. Good tips and information on the parking, thank you very much! I think your parking charge for disabled blue badge holders is extortionate, what’s happened to the days of compassion. Oh no… disabled people have to pay for parking too?! Well about time, people with disabilities bang on about equal rights yet still demand free parking when attending the same attractions as every one else?! About time.. it should be the same for car parks. And no more parking on double yellow lines in town centres! To be honest, I have to disagree as I firmly believe that large visitor attractions should not be charging guests with disabilities parking fees. Visitor attractions have a responsibility to ensure that guests receive the necessary facilities required to access the setting without adding charges for these facilities.